Malwarebytes for Mac (formerly Anti-Malware for Mac) is an easy to use security tool that quickly scans and remove cyberthreats, including malware, adware, and potentially unwanted programs from your Mac. It features a ultra-fast real-time protection to automatically block and remove these threats and innovative and fast detection engine that has minimal impact on device operations to ensure Mac computers run like they should. Malwarebytes for Mac removes code that degrades performance or attacks your system using a custom-built technology that is able to detect threats that even well known anti-virus fail to detect. Additionally, the app offers a wealth of information about how to proceed if you continue to have issues after removing malware and adware. Furthermore, Malwarebytes has been recognized for its aggressive stance against adware and PUPs, many of which are not detected by other antivirus programs. It has been widely recommended in the Mac community due to its effectiveness at removing such threats. Malwarebytes is a well known and trusted cybersecurity company, founded in 2008, that specializes in protecting home computers, smartphones, and companies. 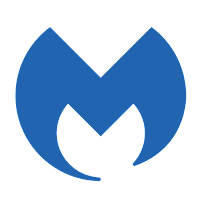 Malwarebytes software is recommended over traditional antivirus programs by many professionals and is trusted by millions worldwide and more than 10,000 businesses. Download the program and you get a 30-day trial of the premium version with automatic (real-time) protection. After 30 days, your trial reverts to a limited disinfection scanner. Buy the premium version now to prevent infection in the first place. Real-Time Protection - Detects and quarantines threat files in real-time, rather than requiring manual scans. Minor UI overhaul - UI now looks more like MB3 for Windows UI, although much of the Windows functionality is still not present. Menu bar icon - Allows the user to access core functionality or open the UI from an icon on the menu bar. Disclaimer: Direct downloads for the lastest version of Malwarebytes for Mac 3.7.34.2263 are provided by the official software's author, we can't guarantee safety, availability or download speed. Moreover, we don't and we won't provide any pirated/illegal versions or tools. We recommend you to avoid it as these methods can harm your device. If you like the software, buy it to support the developers. (We provide software discounts for many worldwide brands).